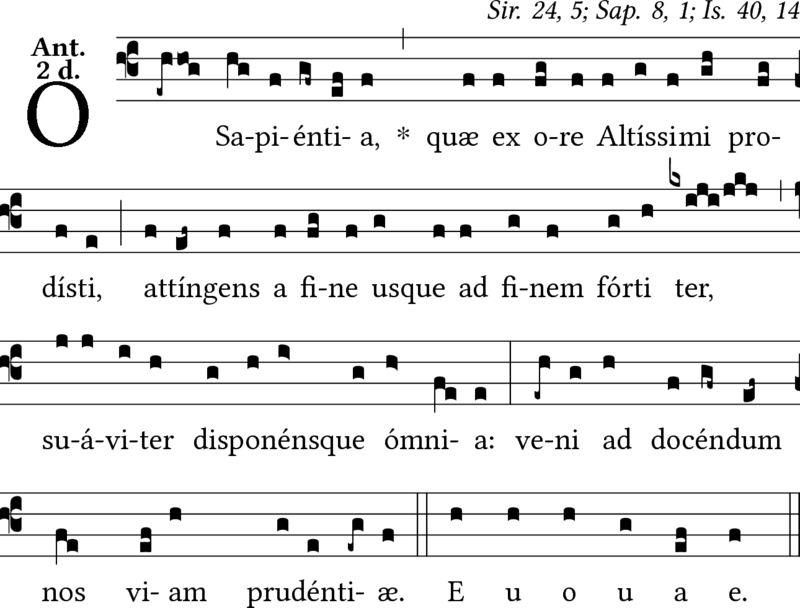 Sing the O Antiphons this Advent! 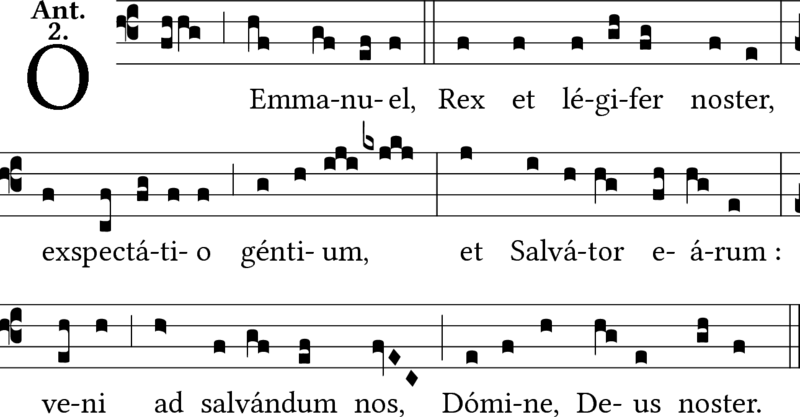 Anyone who prays Vespers every night during the last seven days of Advent, December 17 -23 to be exact, will be praying the “O Antiphons” before and after the Magnificat. But you don’t have to feel left out, if you don’t pray Vespers. You can still pray (and chant!) 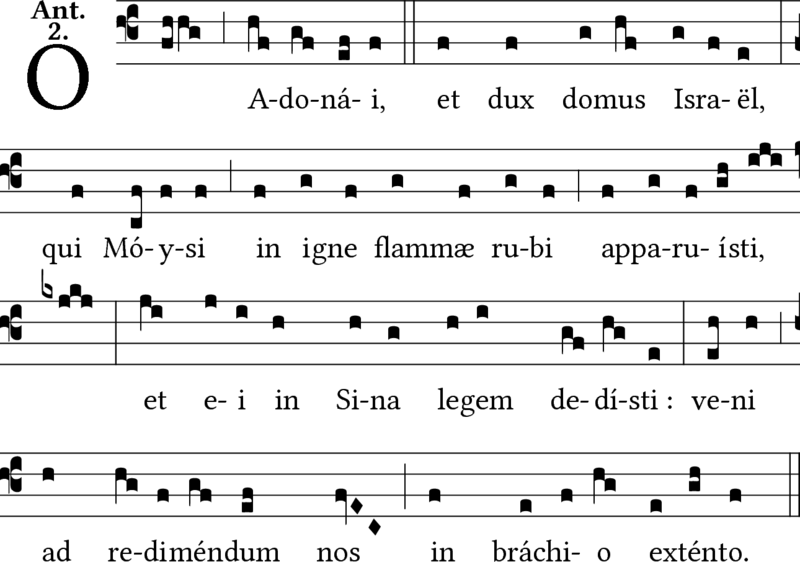 these ancient O Antiphons, and include these in your Advent preparations, too. The Catholic Church never disappoints when you try to find sacred music that could make something a little more special. 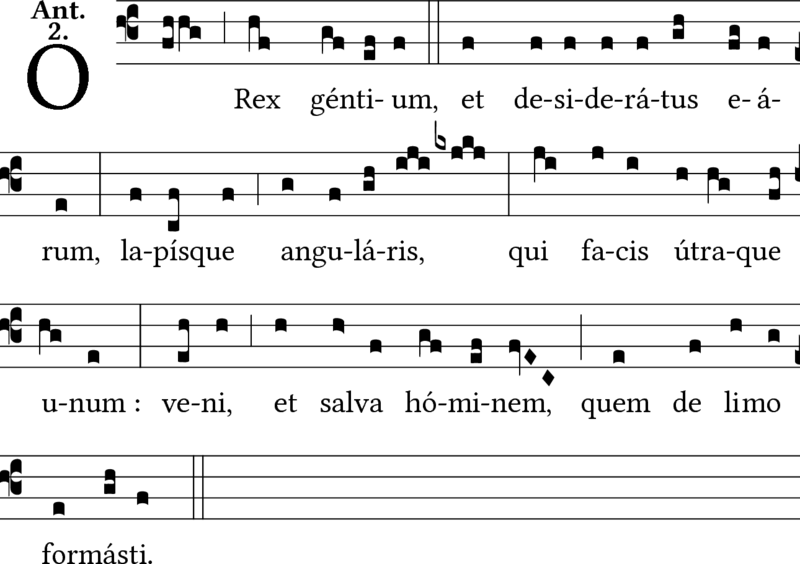 At the beginning of my search, I read online that some like to sing Veni, Veni Emmanuel after praying the Antiphons. 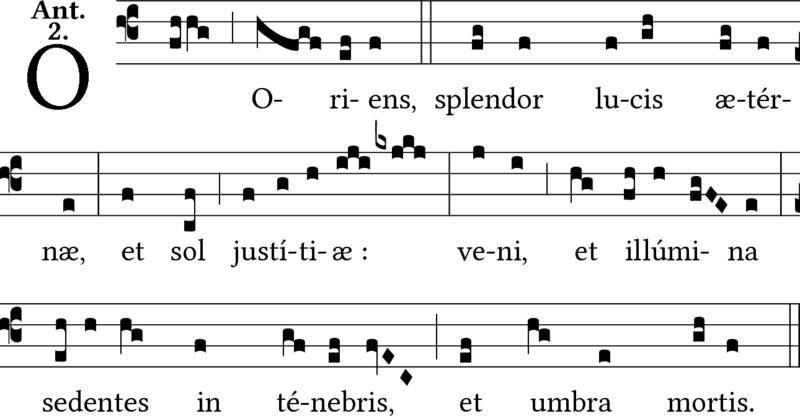 That makes sense, because the text of Veni, Veni Emmanuel is based upon the O Antiphons. 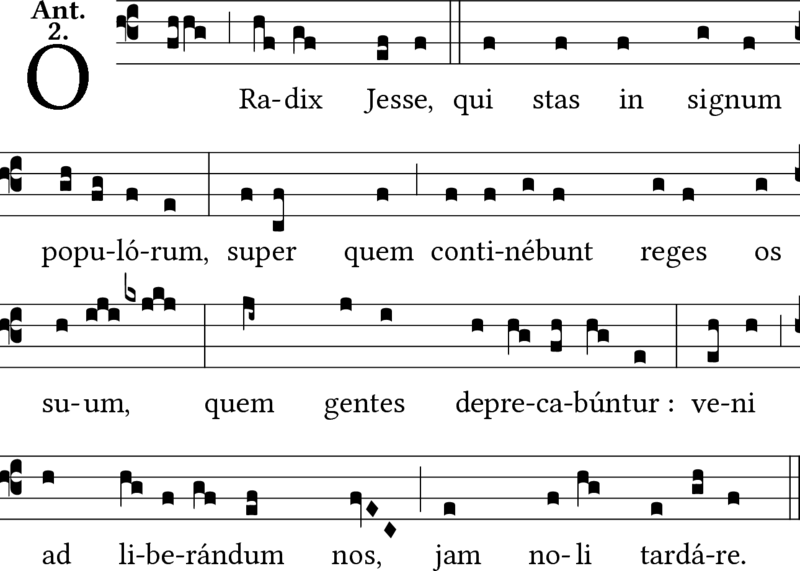 But why not sing the “real” Antiphons, instead of something based on the Antiphons? 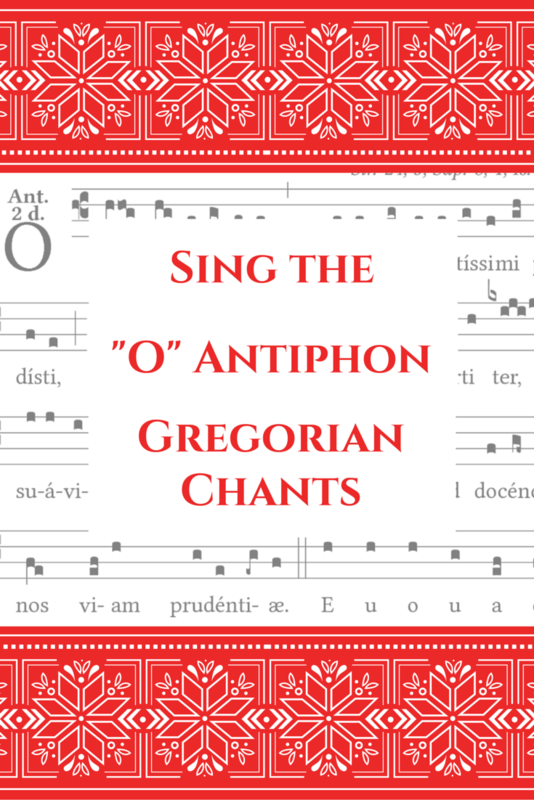 That’s what I wanted to do, and I was so thrilled to discover that there are ancient Gregorian chants for each of the O Antiphons. I also prepared a handy printable packet of the scores, links to YouTube, and the readings. It is free to download, print, and share! For wisdom is better than all the most precious things: and whatsoever may be desired cannot be compared to it. I wisdom dwell in counsel, and am present in learned thoughts. Now shalt thou be laid waste, O daughter of the robber: they have laid siege against us, with a rod shall they strike the cheek of the judge of Israel. AND THOU, BETHLEHEM Ephrata, art a little one among the thousands of Juda: out of thee shall he come forth unto me that is to be the ruler in Israel: and his going forth is from the beginning, from the days of eternity. Therefore will he give them up even till the time wherein she that travaileth shall bring forth: and the remnant of his brethren shall be converted to the children of Israel. And he shall stand, and feed in the strength of the Lord, in the height of the name of the Lord his God: and they shall be converted, for now shall he be magnified even to the ends of the earth. And this man shall be our peace, when the Assyrian shall come into our land, and when he shall set his foot in our houses: and we shall raise against him seven shepherds, and eight principal men. And they shall feed the land of Assyria with the sword, and the land of Nemrod with the spears thereof: and he shall deliver us from the Assyrian, when he shall come into our land, and when he shall tread in our borders. And the remnant of Jacob shall be in the midst of many peoples as a dew from the Lord, and as drops upon the grass, which waiteth not for man, nor tarrieth for the children of men. And the remnant of Jacob shall be among the Gentiles in the midst of many peoples as a lion among the beasts of the forests, and as a young lion among the flocks of sheep: who when he shall go through and tread down, and take, there is none to deliver. Thy hand shall be lifted up over thy enemies, and all thy enemies shall be cut off. And it shall come to pass in that day, saith the Lord, that I will take away thy horses out of the midst of thee, and will destroy thy chariots. 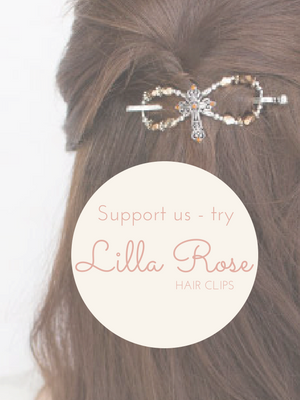 And there shall come forth a rod out of the root of Jesse, and a flower shall rise up out of his root. And the spirit of the Lord shall rest upon him: the spirit of wisdom, and of understanding, the spirit of counsel, and of fortitude, the spirit of knowledge, and of godliness. And he shall be filled with the spirit of the fear of the Lord. He shall not judge according to the sight of the eyes, nor reprove according to the hearing of the ears. But he shall judge the poor with justice, and shall reprove with equity for the meek of the earth: land he shall strike the earth with the rod of his mouth, and with the breath of his lips he shall slay the wicked. And justice shall be the girdle of his loins: and faith the girdle of his reins. The wolf shall dwell with the lamb: and the leopard shall lie down with the kid: the calf and the lion, and the sheep shall abide together, and a little child shall lead them. The calf and the bear shall feed: their young ones shall rest together: and the lion shall eat straw like the ox. And the sucking child shall play on the hole of the asp: and the weaned child shall thrust his hand into the den of the basilisk. They shall not hurt, nor shall they kill in all my holy mountain, for the earth is filled with the knowledge of the Lord, as the covering waters of the sea. In that day the root of Jesse, who standeth for an ensign of the people, him the Gentiles shall beseech, and his sepulchre shall be glorious. And it shall come to pass in that day, that the Lord shall set his hand the second time to possess the remnant of his people, which shall be left from the Assyrians, and from Egypt, and from Phetros, and from Ethiopia, and from Elam, and from Sennaar, and from Emath, and from the islands of the sea. And he shall set up a standard unto the nations, and shall assemble the fugitives of Israel, and shall gather together the dispersed of Juda from the four quarters of the earth. O Key of David, and Scepter of the House of Israel, who opens and no man shuts, who shuts and no man opens; Come and bring forth the captive from his prison, he who sits in darkness and in the shadow of death. 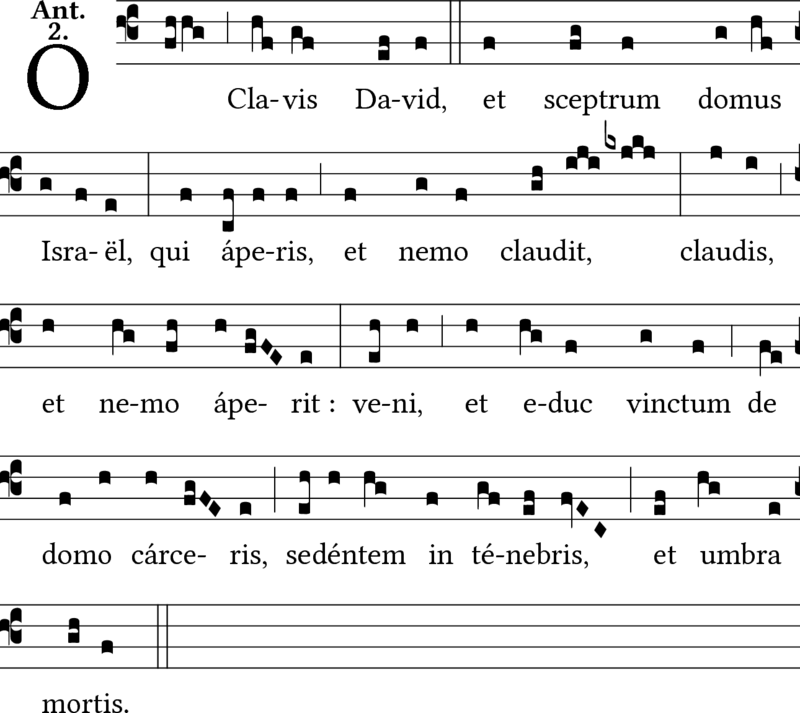 O Clavis David, et sceptrum domus Israël, qui aperis, et nemo claudit, claudis, et nemo aperuit: veni, et educ vinctum de domo carceris, sedentem in tenebris, et umbra mortis. And I will lay the key of the house of David upon his shoulder: and he shall open, and none shall shut: and he shall shut, and none shall open. And I will fasten him as a peg in a sure place, and he shall be for a throne of glory to the house of his father. And they shall hang upon him all the glory of his father’ s house, divers kinds of vessels, every little vessel, from the vessels of cups even to every instrument of music. In that day, saith the Lord of hosts, shall the peg be removed, that was fastened in the sure place: and it shall be broken and shall fall: and that which hung thereon, shall perish, because the Lord hath spoken it. Remember the law of Moses my servant, which I commanded him in Horeb for all Israel, the precepts, and judgments. Behold I will send you Elias the prophet, before the coming of the great and dreadful day of the Lord. And he shall turn the heart of the fathers to the children, and the heart of the children to their fathers: lest I come, and strike the earth with anathema. O King of the Gentiles and their desired One, the Cornerstone that makes both one; Come, and deliver man, whom You formed out of the dust of the earth. And I saw another sign in heaven, great and wonderful: seven angels having the seven last plagues. For in them is filled up the wrath of God. And I saw as it were a sea of glass mingled with fire, and them that had overcome the beast, and his image, and the number of his name, standing on the sea of glass, having the harps of God:  And singing the canticle of Moses, the servant of God, and the canticle of the Lamb, saying: Great and wonderful are thy works, O Lord God Almighty; just and true are thy ways, O King of ages. Who shall not fear thee, O Lord, and magnify thy name? For thou only art holy: for all nations shall come, and shall adore in thy sight, because thy judgments are manifest. The people that walked in darkness, have seen a great light: to them that dwelt in the region of the shadow of death, light is risen. Thou hast multiplied the nation, and hast not increased the joy. They shall rejoice before thee, as they that rejoice in the harvest, as conquerors rejoice after taking a prey, when they divide the spoils. For the yoke of their burden, and the rod of their shoulder, and the sceptre of their oppressor thou hast overcome, as in the day of Median. For every violent taking of spoils, with tumult, and garment mingled with blood, shall be burnt, and be fuel for the fire. For a CHILD IS BORN to us, and a son is given to us, and the government is upon his shoulder: and his name shall be called, Wonderful, Counsellor, God the Mighty, the Father of the world to come, the Prince of Peace. His empire shall be multiplied, and there shall be no end of peace: he shall sit upon the throne of David, and upon his kingdom; to establish it and strengthen it with judgment and with justice, from henceforth and for ever: the zeal of the Lord of hosts will perform this.